This qualification is designed to support learners who deal, or intend to deal, with customers on a daily basis as part of their job role. It is applicable to a variety of work environments and covers topics such as promoting additional products and/or services to customers, carrying out customer service handovers and resolving customer service problems. Age 16 - 18 is fully funded. Age 19+ : £3,000 to be paid by employer. Through this unit you will learn the art of consultation with your clients, using a variety of methods to clarify their ideas and requirements for hair services. Being able to make suitable suggestions based on a variety of methods such as; open and closed questioning, observation and testing of the hair skin and scalp, will provide the information that you will need on which to base your recommendations. This unit is about developing the knowledge and skills to prepare for and provide a shampooing, conditioning and treatment service to the hair and scalp. Learners will demonstrate the skills of shampooing, conditioning and treatment of the hair and scalp using a variety of products and services. This unit will enable learners to use basic barbering skills to cut men’s hair to be able to create a variety of looks on different hair types. Learners will learn about the requirements for the use and maintenance of a variety of cutting tools and equipment. 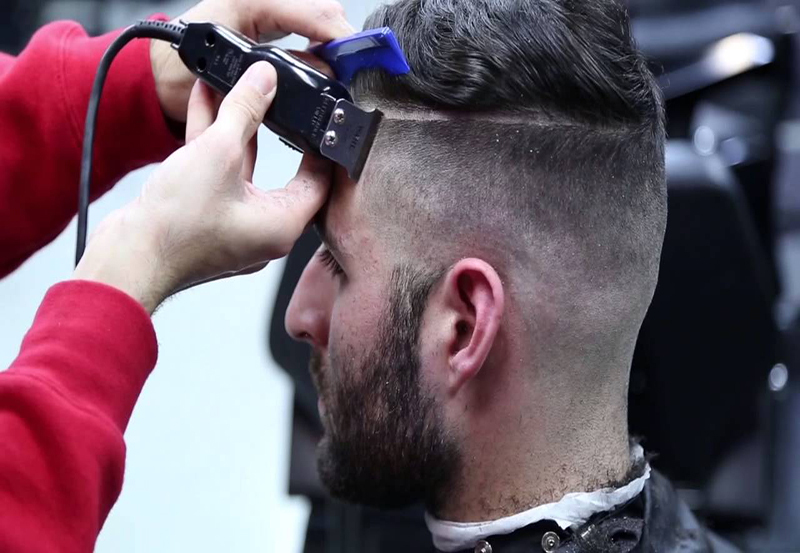 Learners will develop an understanding of influencing factors, hair classifications and characteristics and how they affect the men’s haircutting service. Learners will develop the skills and knowledge to complete men’s haircutting services using traditional cutting and barbering techniques. This unit is about further developing the knowledge and skills to prepare for and provide a professional and commercial finished service. Learners will use a variety of conventional cutting techniques to produce a finished facial hair shape.